The Lord of the Universe ignited the twin suns of soul and sacrament, illuminating the endless tapestry of night. All His manifold dreams coalesced into all that exists, in all possible forms and in the illusory stardust between those forms. Joy and emotion clouded the supreme truth of the Lord of the Universe, and in the light of the twin suns be birthed the world illusory. Granting His raw blissful emotion a place in the mist and smoke, the water and sky, and for a time He watched. He watched His virtues and vices, His ideals and emotions, and all the sins He thought Himself too majestic to possess. 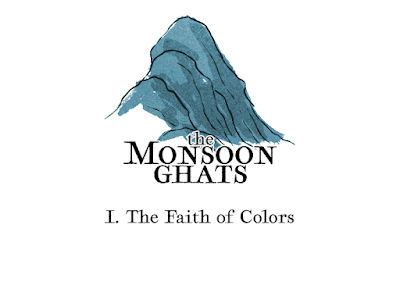 The Monsoon Ghats are the southern coastal mountains of the Land of Triumph, where the Lord of the Universe found joy and sorrow and was wounded by mortal man in a war betwixt the illusory nature of existence and the supreme truth of the cosmos. It is a borderland of the lush, with the ocean side of the ghats locking deep black soils and rich sinewy trees. Civilization holds itself here, bound by doctrine of the Daeva and the Asura; The Faith of Colors, honored still despite the warring nature of these celestial tribes. The common folk cling to moralities that might allow them to change their stars, often in lock-step with atrocities committed at the behest of their masters towards those who will not bow as deeply. The Faith of Colors was a thing of splendor before the celestial tribes suffered their schism, now the vestiges of once was engage in petty skirmishes for supplication. Many in the Ghats hold themselves to but four colors, forsaking all others. They festoon their banners and houses with that they were born to, hoping with power and time to ascend to the next. Many are weaker for sake of these petty ambitions. A dog's age since a brahmin was born of deepest indigo and void-knowing. Most are conformed to mortal colors and mortal aspiration;, dominance, power, wealth and joy. Illusory items that weigh heavily upon their karma and might sink them completely to serpent-shriven underworlds if not for deeds done in ages past. The Faith of Colors is not diminished in its majesty, though it is fractured and as such tested. Those who once served it have been forsaken in man's pursuit of supremacy and comforts. The Raksha demand fealty for their service in the War of Wounding. Few are willing to pay, fewer still willing to admit the atrocities forced upon them. Some were concepts, illusory sins bound with purpose to slay perfidious river naga; others were of mortal tribes bent to the will of cruel words and made monsterful to fill the hosts of the supreme truth. They are a horror to behold, blackened like ash without an ember to stoke their soul. The Faith broke them, and now they play the villain for hope of promises to be honored and old shames apologized for. The Vanara are of equal pain, forced now to live in a world without blissful ignorance and the frivolity of a war-time's simple morality. Virtue forced into the framework of ignorant animal can make good deeds bestial and make a simple atavist contemplate too darkly the nature of their soul. These are not the heroes of ancient deeds, their temples and statues are forlorn. Most think of them as thieves and fools, undeserving of respect within the hierarchy. The Faith has left them to the wayside, they're characters for children's stories now. The Bangla, the bear-people, have never held the Faith of Colors in any high regard, they wish only to fight and appease their Mountain at the roof of the world. Those within the Ghats are sell-swords and monster hunters, looking to drink deep the honey of the earth before they return to the stone from which they were born. Upon the fur of their chest is a pattern still, a rank held in the ancient armies, they feel contempt for those who do not recognize the mark. They claim to hear the dreams of the Lord of the Universe echoing out from the Mountain, though man does not entertain this blasphemy. The Naga-Malla are perhaps all that remain truly devout to the Faith of Colors, and they view humanity as holding it in poor regard. The elephants existed since the first thrumming sound emitted when the Lord of the Universe ignited the twin suns. They know truth and revile in the illusory world which grows stronger with each passing age. They feel great doom, each cycle reborn with less of the world being as it should be. They would remake the Faith of Colors, but too quickly would man tarnish it in their petty grasp for power. 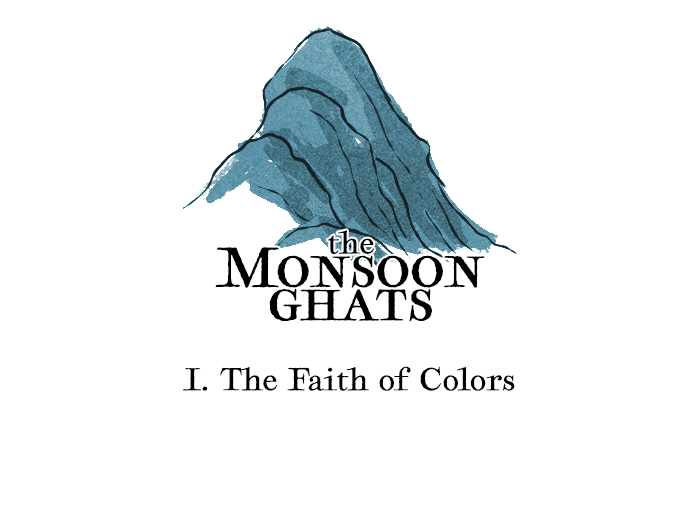 The Monsoon Ghats is a setting which makes use of a mash-up of B/X & Knave rulings, and it is constructed for sake of being a toolbox setting book akin to Yoon-Suin. Attention and research is paid for sake of representing religious and ethnic groups in a fantastical world without (hopefully) dishonoring their real world counterparts. Symbols and influences are meant to be present, but no group should be a 1-for-1 translation. I've been told to aim for that which I find interesting by my readers, and as such the Monsoon Ghats are designed for tiers of play which will eventually see characters involved more in warfare and politics than mere dungeon-delving. This is not a game of superheroic divinely powered characters, it is by design intended to come across as a vaguely pre-Vedic India which is dealing with other religions and socio-political factors that would not have cropped up in said era. In meta-contextual notes; the Faith of Colors is the stand-in for Hinduism within the broader setting. It is, for the bulk of those who reside within the Monsoon Ghats, the truth of creation. It is henotheistic for the most part, though the Lord of the Universe's exact status is open to debate. He may be all that is, and thus beyond reaching; he may be only remnants and vestiges in the form of the Asura and Daeva, his sins and virtues and all of humanity is but a continued test to see if illusory desires or supreme truths will have a true victor. I realize much of what is here doesn't present greater context to the religion, and that's...noted. I have more written but I'd rather not just lore-dump, especially for homebrew. I can bang it out to a good four pages altogether explaining the current socio-political-religious situation of the world, but I'd rather get further work done before that. Things change. My two sensitivity reader pals, one Hindu one Muslim, are both of the mind that I'm doing all right; but I'm a religious parasite who has never found that perfect fit while at the same time appreciating all the imagery. So it will be a situation. I also don't want the Faith of Colors to come across as Hinduism with the numbers filed off, because that's boring and offensive and I'll make note of that further down the page for those still reading. The Lord of the Universe, is for sake of my own interests, based more on the Jagannath by way of Vaishnavite origin. 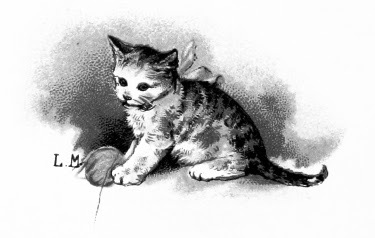 Though for my purposes he is re-purposed as an entity of flaws and virtues; who upon finding something beyond his own creation (perhaps this alone is a deception, an illusion, a falsehood) allowed himself to descend to the world he'd created and be subsequently maimed and wounded by aspects of himself he dared not accept. He is, for my purposes, much like a young lover who in his own inability to accept and work on his weaknesses, is undone by them. This is not a setting of Good and Evil, Law and Chaos; it is one of Virtue and Illusion by which ones karma is judged. Those who adhere to positive actions in their life will face many tests and will, hopefully, rise to the occasion stronger for it. Those who dwell in the illusory world of temporary mortal joys will be given chance to deny such things, and many may yet fail. Karma, as a statistic, is on a 1-100 rating with thresholds. It is primarily rolled when you wish for someone to believe in you or to appeal to their better nature. It is used by Holy-men to reveal the wicked and weak of moral fiber. It has no stronger power than that and in translation between other faiths beyond the Faith of Colors, things are often lost. I like personally, the idea of demi-humanity within the setting being leftovers from a powerful ancient conflict. The Vanara are without guidance or grand heroism to participate in, as such they are without purpose in these "modern" times. The Raksha are either illusory spirits forced into a truism, a "Cruel-but-Certain" or "Spiteful-but-Honest" type of situation; or they are made from human beings who in seeking their own grasp on the world were converted against their will. I always found it interesting how certain groups in Hinduism were demonized while still being very much real-world ethnic group stand-ins. I like the Raksha as being strange spiritual ogre-esque horrors who by all accounts deserve praise and thanks but are not given any; I think this can lead to a tragic narrative and purpose for adventuring. The Bangla are based upon Jambavan, and in theory they are meant to represent those who religion has left behind, the larger than life heroes whose own traditional way is discarded in favor of what is palatable and easier as a societal control mechanism. I also like the idea of blue sun bear/sloth bear monster hunters, that's cool. They mirror well against the Naga-Malla, whose traditional view on the Faith of Colors is that humanity has perverted it and things are only getting worse; they're literal Opener of Ways and Remover of Obstacles type elephant demi-gods. I like the idea of a starting party consisting of various humans from differing varna, who function in society on different levels but in the eyes of any demi-humanity character are all the same. I personally view the "caste" system as a control mechanism, especially in our modern day where its subtle strings are things I have to deal with as a fully Americanized/Colonized brown person. That all being said, I do of course have massive respect for Hinduism as a religious grouping. It is beautiful and intriguing. Which leads to my next note. Not a fan of putting real world religions 100% into fantasy worlds, it just doesn't do me right. While it is already presumptuous to state a religion to be an absolute truth in fantasy, it is even more harmful to do so while misrepresenting it egregiously. There is no Kali or Hanuman or Ganesh in the Monsoon Ghats, what there is would be Daeva or Asura; the benevolent and baleful faces of the shining supreme beings who represent those sorts of powers. Hopefully by Friday, though I make no promises, I'll have my proper Daeva/Asura Generator for the Monsoon Ghats up. It is made for determining lesser house/personal deities, larger deities, and the stories associated with them. Each figure has multiple stories depending on their domains (they are tied to the Holy-man class, after all), as well as notes for items like should one become a decapitated god, or should one become an amalgamated deity. The Monsoon Ghats is meant to have more to it than just Hinduism. Jainism (under the framework auspices of the specific belief that it existed prior to Hinduism), Sikhism, Buddhism, Islam, and certain more interesting forms of Shaktism will see parallels; none of which are intended to be 1-for-1s, and all of which may have some degree of commentary upon them while at the same attempting to respect and pay kindness to their beauty. Which is to say that if I am to go into this specific set of randomizations for not!Hinduism, the same sort of care and consideration for randomizers would also need to be applicable to other faiths in the game. Current play-testing sees a Holy-woman of the Bel Shahih (the pseudo-Islam of the setting), and that's going well, or at least is capturing the spirit of what I'm working towards so sayeth one of my readers. I would say it is going well to the point that even if I end up being an imperfect creator for this project, I will hopefully at least provide material enough to not misrepresent and to also allow for someone to use said material as tools to do a much better job in the future.